Whether it’s new or used, buying a car is a big thrill. You think of excuses to run errands or pick up friends for dinner. But soon reality bites back when it comes time for maintenance. A new vehicle, on average, will cost a driver $1,186 per year to maintain and repair, according to a recent survey from AAA. The auto club says the inevitable costs associated with maintenance and repair should be an important consideration for car shoppers. And one-third of U.S. drivers could not afford an unexpected repair bill, the AAA found in a recent survey. Taking care of your new pride and joy can be a shock to the budget. Take heart, there’s some good news. For most cars, you can do simple maintenance procedures that will save money and help you know your car better. First, review your owner’s manual to understand the maintenance schedule. You can stick with the schedule for things like oil and filter changes, tire rotations, and changing coolant and spark plugs. If the maintenance schedule says your car can go 10,000 miles between changes, there’s no need to do it more often than that. Unless your usage might fall into the heavy-duty schedule, even for a short period like towing a camping trailer on vacation. If you drive for a ride-sharing service or off-road, you may need to change the oil and air filters more often. 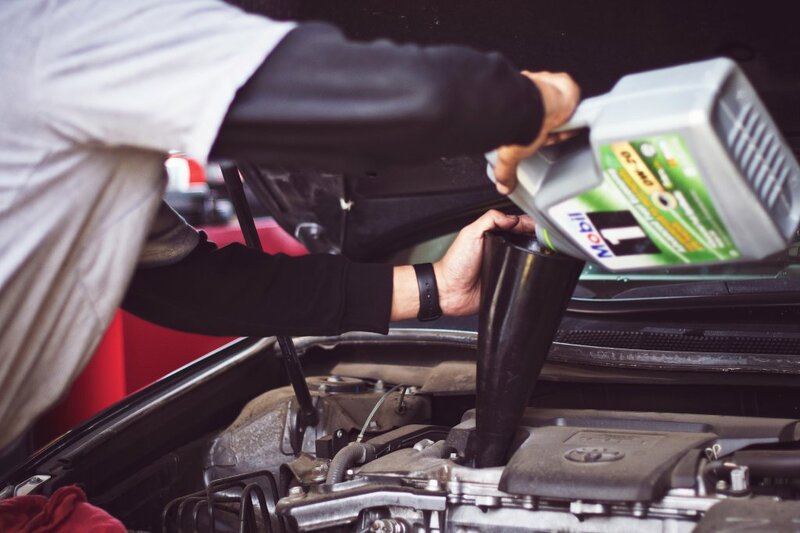 The manual will also recommend how often you should change oil based on time, so even if you don’t drive a lot of miles, you still may need to change the oil once or twice a year. Here’s a look at some basic maintenance you can do yourself. Tires with low pressure can reduce gas mileage by 3 percent or so, wear faster, and could lead to a loss of control. Many new cars have tire pressure monitoring systems that will alert you to low pressure in your tires. However, not all systems will tell you exactly which tire is low, so you’ll have to track it down. Otherwise, check your tire pressure about once a month or whenever there’s a big change in the temperature. If you have a tire pressure monitoring system, it may send an alert in cold weather. The light may go off after you drive the car a few miles and things warm up. If it doesn’t, it may mean it’s time to add air. Check tire pressures when they’re cold — usually in the morning before you drive the car is the best time to get an accurate reading. You can also inspect the tire tread depth with a gauge or a penny – insert Abe Lincoln head down into the tread. If you can see the top of his head, it’s time for new tires. Another low-cost item that you can change yourself. That way you won’t pay for the mechanic’s labor costs. Auto stores and online retailers have guides to find the replacements that fit your vehicle. Depending on your vehicle it may be easy to do the oil changes on your own. That mostly depends on the access to the drain plug and oil filter, usually on the underside of the car. If you need to raise the vehicle for access, don’t rely on the car’s tire jack. Use ramps or jack stands rated to hold the car’s weight. Make sure you collect and dispose of used oil properly to avoid environmental contamination. Don’t be frightened into doing too much maintenance. For years, the industry promoted oil changes every 3,000 miles. Depending on your car, that’s just not needed. Check the recommended service intervals for your vehicle. In most cases, modern vehicles can go 5,000 or up to 10,000 miles between oil changes. Microscopic particles of dirt, sand or road debris can cause damage to the moving parts inside and lead to your car using more gas than it should. The air filter traps those impurities in the air and stops the flowing into your engine. Change it according to the recommended service interval in the owner’s manual, usually every 10,000 miles or so. Your filtercan be filled with dust, pollen, smoke, and odors, even when the windows are closed. The filters trap irritants and make the air cleaner, so it’s easier to breathe, making life better for people with respiratory issues. While this filter won’t affect the car’s performance, it does make the car more comfortable to drive, so change it as recommended. Look for online videos on how to find your cabin air filter; on many vehicles, it’s hidden behind the glove box. Today, many vehicles call for changing the filter every time you change the oil. Fresh engine oil is a bright, golden color. Used oil is cloudy and dull brown. The change happens as the engine oil toils with two jobs: keeping components cool and filtering out microscopic metal shavings and other contaminants that could harm the engine. Check your owner’s manual for the recommend interval; it’s not necessary to change the filter or oil more often than that. But look at the recommendations for heavy-duty use; usually, those intervals are shorter. If you spend a lot of time commuting in heavy traffic, your vehicle could get as much wear and tear as a taxi. Remember, if you take care of your car, your car will take care of you. Taking time to perform your own routine auto care ensures a safer, more dependable vehicle, and helps your car hold its value better. And, you may learn something about yourself and your vehicle.